While birth control pills are indeed effective at preventing unwanted pregnancies, the risks far outweigh the benefits as far as your health is concerned. If you are currently using birth control of any kind (the pill, shots, the patch, etc. ), I cannot urge you strongly enough to stop using them immediately. There are many other safer ways to prevent pregnancy. Many women may also be taking birth control pills to alleviate painful cramping or irregular periods. The pill, however, does nothing to address the cause of the problem, and instead can even compound the problem. What’s Wrong with the Pill? Birth control pills, patches and shots promote continuously raised estrogen levels in a woman’s body, something that is neither natural nor safe. “A woman’s natural cycle is composed of rising and falling levels of estrogen and progesterone. 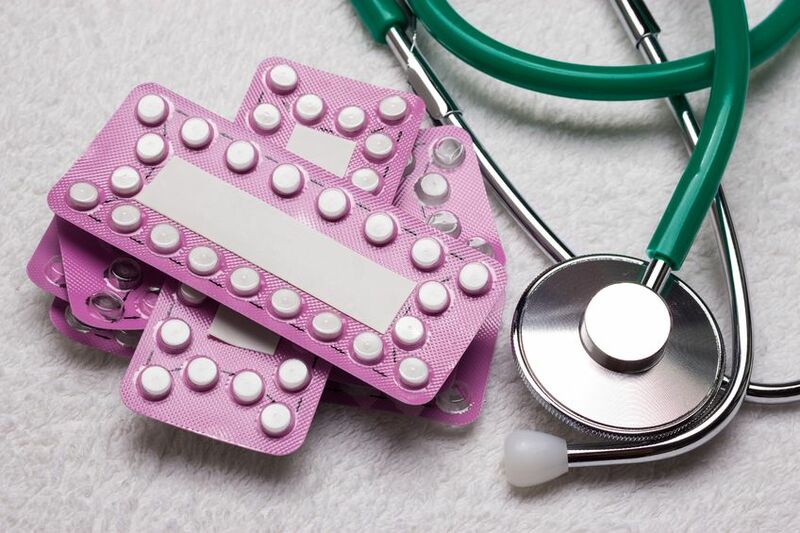 Birth control pills work by keeping estrogen at a sufficiently high level that they fool the body into thinking it is pregnant, therefore another pregnancy cannot occur,” Dr. Dane reminds us. Most people don’t know that in order for the body to metabolize the pill, the liver requires extra amounts of the B-complex vitamins, vitamin C, magnesium and zinc. This means that if a woman has been on the pill for years at a time (as most American women are), she is creating a nutrient deficiency in her body–one of the two causes of all disease (the other being toxicity). While yeast (candida albicans) generally makes its home in the digestive tract, common lifestyle choices like use of birth control pills, antibiotics, a refined grain and sugar diet, and high stress levels often lead to a candida overgrowth. Toxins from yeast overgrowth can lead to a host of other problems in the body, presenting themselves in a variety of manners far beyond the common vaginal infection. Symptoms like migraines, infertility, fibromyalgia, endometriosis, psoriasis, PMS, depression and digestive disorders have all been linked to yeast overgrowth. The evidence clearly shows that when you address the yeast overgrowth, the symptoms improve or subside. Yeast overgrowth has been closely linked to estrogen dominance in a woman’s body caused by the pill. The National Cancer Institute tells us that the risk of developing breast cancer is 1 in 8 for the general public. That would bring your risk of developing breast cancer to 1 in 5-staggeringly high. “There’s tremendous vested interested — drug companies with a lot of money, government agencies who give a lot of money for contraception. It doesn’t make people look good when a study like this comes out,” Dr. Kahlenborn said.